Hi Loves! How has your week been? Mine definitely flew by. And now, I'm getting ready to go on a ski trip. I still have to go pack my bag and pick out my outfits (let's get serious, I LOVE this part! haha). But, I wanted to post the work outfits that I've been wearing lately. 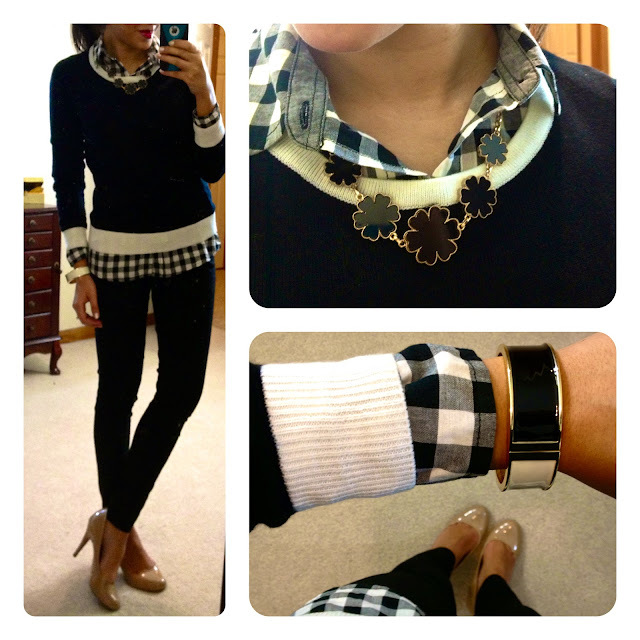 The first outfit was what I wore on Valentine's Day--whimsical and fun, yet still work-appropriate! This is how I wish I looked at work! ALL of these outfits are perfect!! I think the first one and the paisley scarf one are my 2 favorites. Have fun on your ski trip, girl! You're stylin! Love the tuxedo jacket look on that black and white blazer. all of your outfits are just amazing. they are really so chic and work appropriate and fashionable. thank you! Oh totally adore that polka dot top! They are all great looks! Great finds from F21! 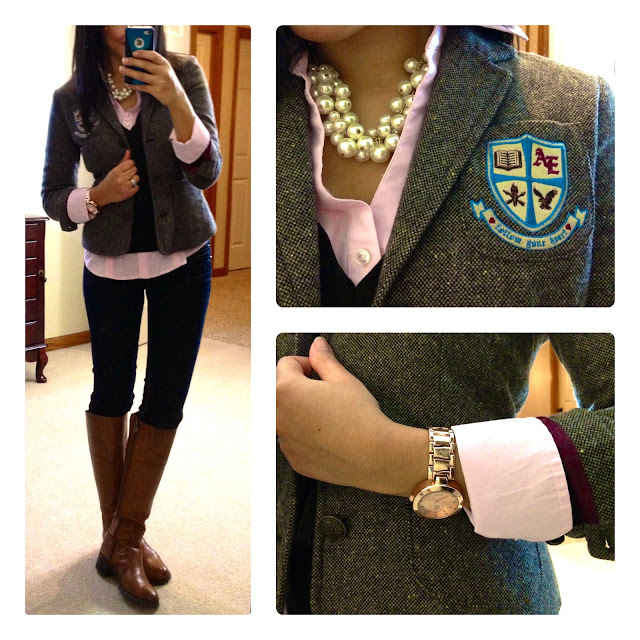 I love the black/white gingham shirt and the blue/green scarf! That tiger skirt is so cool! Happy Friday!! Great outfits! I love them all!! Gorgeous outfits!!! 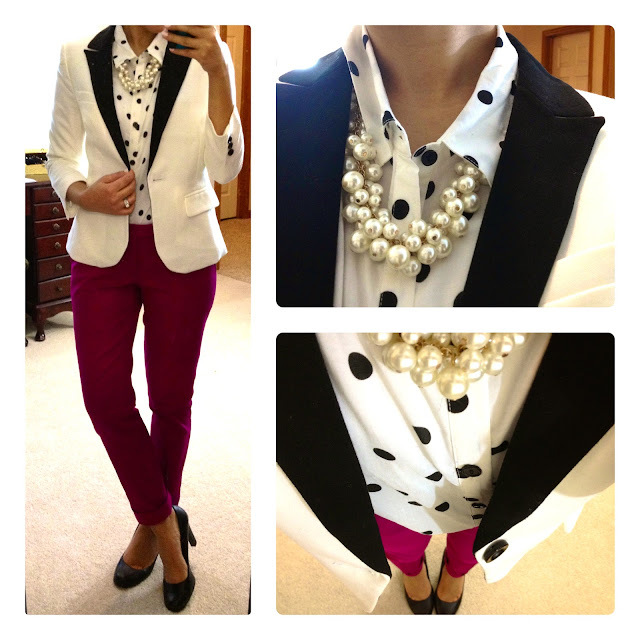 Love the Valentine's Day outfit with the colored pants and polka dots!!! Have fun on your ski trip!! 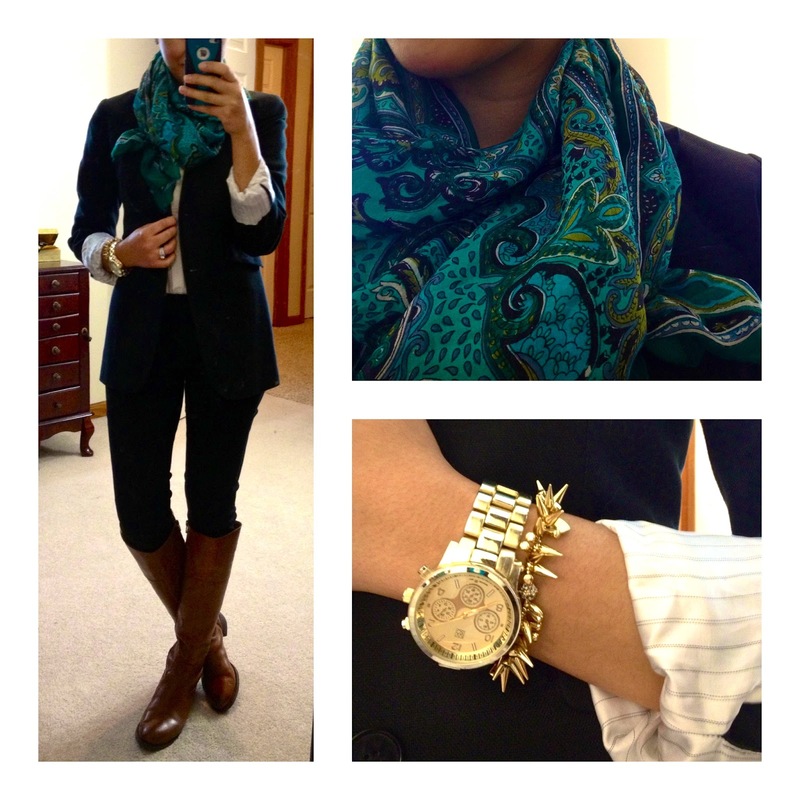 Beautiful outfits and Love that paisley scarf!! I need a polka dotted button up so bad!! How do you make things lay so flat when you layer? I have the hardest time pulling on cardigans over button ups without it looking lumpy and awkward!